QUOTE | “We are providing challenge in the games we make, and people are growing inside those economies. 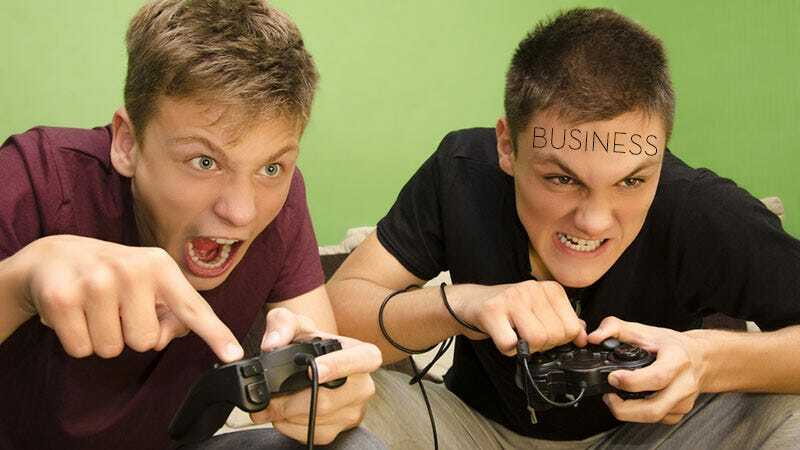 In a world of digital content and user-generated content, we are providing self-actualization for a great many of our players.” - Electronic Arts CEO Andrew Wilson, saying his customers are achieving their human potential by playing EA games. QUOTE | “When you start looking at what’s coming out now you’re seeing this resurgence of buy-to-play games. I think in the competitive space, in particular, there’s just a certain amount of fatigue around the idea [of free-to-play].” - Trion Worlds CEO Scott Hartsman, on why the company’s Atlas Reactor has gone from free-to-play to a premium business model. QUOTE | “It’s been well received, and mostly because we didn’t go free-to-play. You could still play the game right out of the the box and not have to spend any extra money. That really resonates with Elder Scrolls players.” - ZeniMax Online Studios’ Matt Firor identifies one key to The Elder Scrolls Online’s growth in the last year. STAT | $5 billion - The value of Supercell, according to reports that SoftBank is considering selling its stake in the Clash of Clans developer. When SoftBank bought a majority share of Supercell in 2013, the company was valued at $3 billion. When it added to that position last year, the company was valued at $5.5 billion. QUOTE | “It’s very gratifying so far, but we have yet to see it as a stand-alone profitable business.” - Take-Two CEO Strauss Zelnick explains why eSports is more as a promotional tool than a business worth betting the farm on. QUOTE | “As we discussed, please revise the app category for your app and remove it from Games, since we found that your app is not appropriate in the Games category.” - Apple, telling Palestinian developer Rasheed Abueideh to reclassify the politically charged game Liyla & the Shadows of War as a News or Reference app, because Apple believes games cannot deal with serious topics. STAT | £3,771,474 (about $5.5 million) - The amount of money raised by a Kickstarter campaign for a Dark Souls board game. STAT | $80 million - The budget for the upcoming Tetris sci-fi movie. That’s about $20 million more than the estimated budget for this year’s Deadpool movie. STAT | 300,000 - The number of Gear VR units sold in Europe so far this year, partly due to a promotion that saw them given away with preorders of Galaxy S7 and S7 Edge phones. QUOTE | “Six years is a long time to be with a company post-acquisition. It was actually, for the most part, six good years. Microsoft treated us well.” - Robot Entertainment CEO Patrick Hudson has no hard feelings about the way Microsoft treated his former studio, Ensemble. Microsoft acquired the developer in 2001, and shut it down in 2009, eight years later. STAT | 33 years - The amount of time since Rich Hilleman first joined Electronic Arts. The long-serving VP and chief creative director left the company this week.